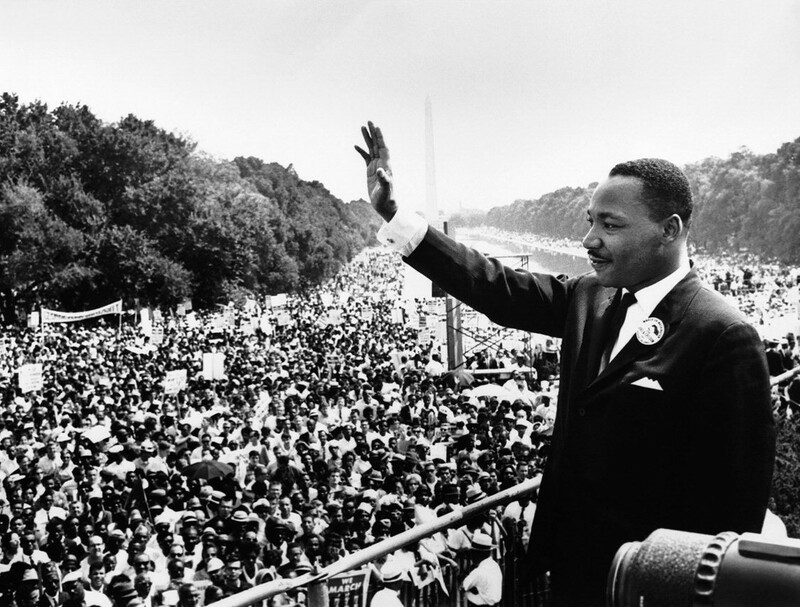 Happy Martin Luther King Jr. day everyone! Today is the birthday of one of America’s greatest civil rights leaders and in honor of the day I’m also going to post the video to his famous “I have a Dream” speech, which I highly encourage you to watch since it is one of the greatest speeches of the 20th century. Fun fact: the man was also a huge Star Trek fan. He was such a huge fan that he personally begged Nichelle Nichols to keep her iconic role as Lt. Nyota Uhura on the show. Don’t believe me? The Washington Post can do a better job of explaining it than I can. Anyway, another tradition that this blog has for Martin Luther King Jr. Day is talking about black representation in the comic book industry. 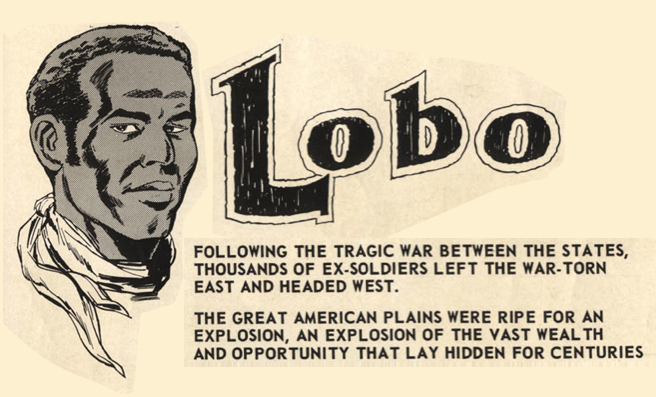 Today I thought it would be nice to talk about the first black comic book character to star in his own solo comic book series: Lobo. The character made his debut in his own self titled series in December of 1965. The comic was published by a company called Dell Comics, which had survived the comic book crash of the 1950’s by publishing Disney licensed comics and grew to become the largest comic book publisher of the 1960’s. He was created by writer and Dell Comics editor Don Arneson and artist Tony Tallarico. Both of them were white men from Minneapolis and Brooklyn respectively and thought that having a black cowboy as the main character of a series might be a good sales hook to lure interested readers. Since the comic was published two years after King’s famous speech and in the middle of the American Civil Rights movement I can see the logic. The story itself starts off at the very end of the Civil War, where it is revealed that the main character fought for the Union and is happy to finally be free. Unfortunately, the unit is attacked by a bunch of Confederate soldiers who haven’t heard that the war is over. 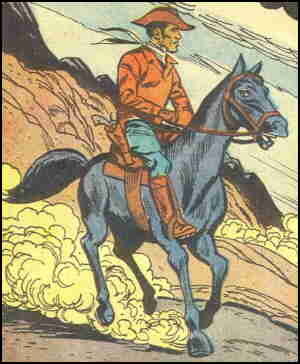 The main character is fed up with the violence and decides to move West to start a new life for himself. He becomes a cattle drover on a ranch where he is framed for murder and decides to become a vigilante and hunt down other criminals. His trademark is a gold coin with a wolf’s head on it, which is where he gets his name since “Lobo” is Spanish for wolf. His name is never revealed and his race is never brought up as a point of contention. He’s a good and capable man who just happens to be black. 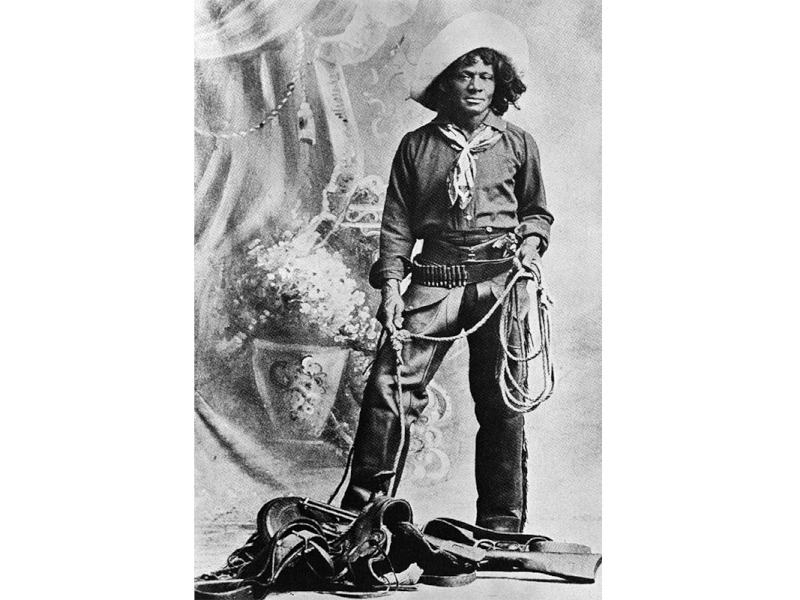 many people did move out west in an attempt to start a new life after the war and there were black cowboys such as Nat Love who worked in the West as cattle drivers. So we have a publishing company at the height of its power, with a character based in a genre that was doing really well at the time and steeped in historical fact, coupled with a good creative team telling a story about a black man in the middle of one of the most progressive and forward looking eras in American history. The series was cancelled due to poor sales numbers. Basically, how the industry worked back then was that publishers would print a certain number of copies of a book and sell it to retailers who would mark up the price and sell it to the public. Any copies that weren’t sold would have their covers cut off and returned to the publisher. After publishing the first issue of Lobo comic book retailers returned over 90% of the copies that Dell Comics had shipped out. While there is not official explanation for the crappy sales numbers it’s probably safe to assume that a comic book with a gun wielding black man on the cover in 1960’s America probably didn’t go over very well with the majority of the American comic book buying public, who just so happened to be white. Still, it was a well written, well drawn character with some serious and well meaning effort behind his creation and while we may never grace the cover of another comic book ever again, his position in the annuls of comic book history is assured as the first African American solo comic book character. 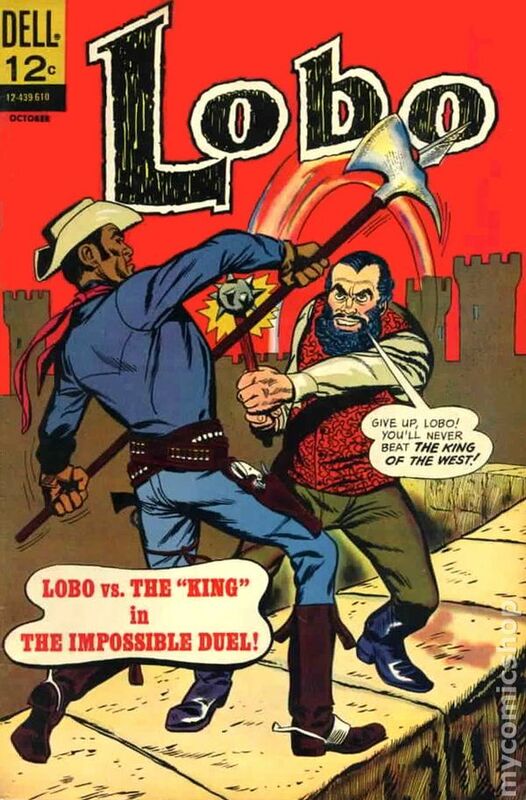 This entry was posted in Blog and tagged black, Civil War, comic, comic book, comic books, comicbook, comicbooks, comics, Dell Comics, I have a dream, Lobo, Martin Luther King, Soldiers, speech, star trek, super, super heroes, superhero, Uhura, west, Western, Wild West. Bookmark the permalink.